News from the US last weekend: Jeremy Phillips had his first outing of the season over finishing 4th in the 100 in Arizona in 10.69. 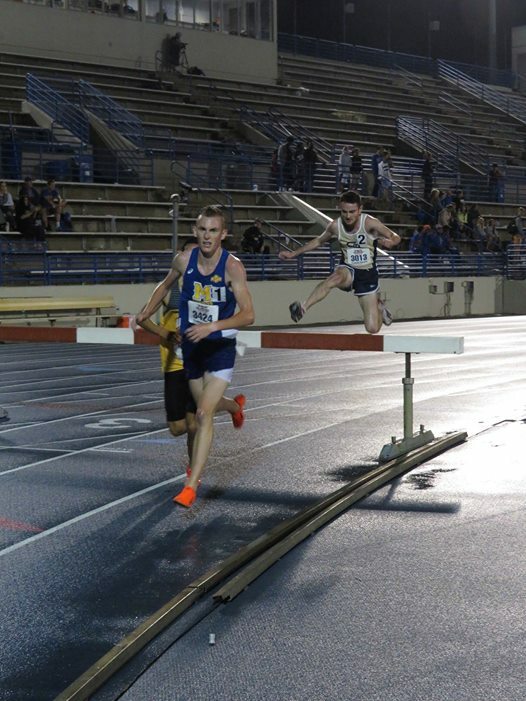 Meanwhile in Houston Brian Flanagan ran a 3.55.12 1500 placing 3rd for McNeese. Look what`s arrived in the post: Another Letter from America! Great news Clonliffe members our man in the USA Brian Flanagan is very much alive and well. Even better he has (finally!!) taken the time to pen “Another Letter from America”! Happy November! So, it has been a very long time since I’ve written, for that I apologize. It has been an absolute roller coaster of a year to date. I believe the last time I wrote was at the end of indoor season (February 2018), so I’ll begin with from where indoor season left off. My outdoor season got off to a good start. I was in good knick. Sessions going great. Getting ready for the first race. Then, one Thursday afternoon at training I did something stupid (shocking I know right). While practicing my steeplechase water jumps I thought it would be a great idea to try it Kenyan style (not putting my foot on the barrier – try to clear it in one go). It turned out not to be a great idea and I took a nasty fall and I did some damage to my right foot in the process. 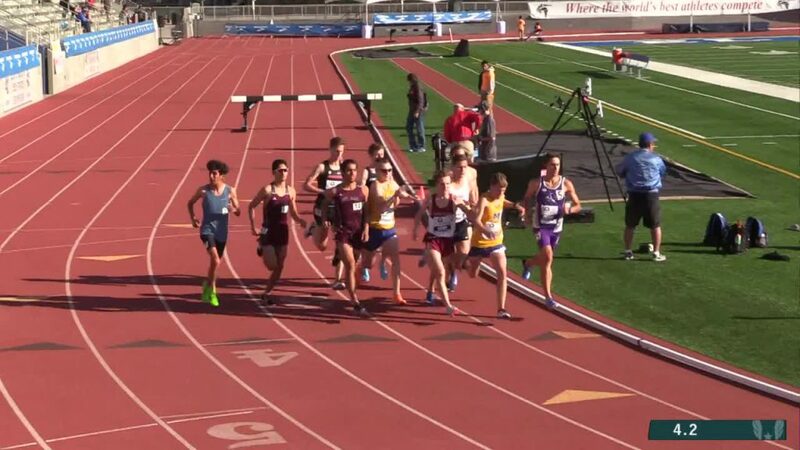 I seemed to have recovered (enough) within two weeks to run the 1500m at the Rice University invitational in Houston Texas. Again, in good knick I was ready to better by PB from last season of 3:55:97. I was a s**t show. Where I should’ve run about 3:52. I blew up and ran the worst race of my life finishing in 4:10. It was a very long road back to Louisiana that night. I consciously remember getting about 3hrs of sleep that night. I was wide awake in distraught at my performance. I failed. I made no excuses for it, I took a shot, it failed horribly, I promised myself I’d come back. I had overwhelming support from the upperclassman and coaching staff at McNeese. But still soul searching, I reached out to my first ever coach, teacher and friend. Coach Alan O’Neill. He offered me the advice I needed and the mental strength to get back on my feet. Anyone who has ever coached under Alan knows the effect his speeches can have on you. So, 5 days after my abysmal performance in Houston. I travelled to the State of Florida to compete in one of the most prestigious track meets in the whole United States, The Pepsi Florida Relays. I was entered in the 3000m Steeplechase on the Friday night under the Gainesville floodlights. This time is was different. Coach said on a good day he could see me running about 9:20 for the event on a good day, he told me just to put the bad day in Houston behind me, and focus on the next one. I went out hard on the second lap I took a nasty fall on the water jump going face first into the water. I rolled over jumped up in one complete movement and carried on. With gritted teeth for the rest of the race I pulled a 9:19:27! bettering my PB in the event by over 10 seconds. I was back and it felt amazing. On the bus ride home through the night back to Louisiana two days later Coach Gilroy woke me up to inform me that my entry to the Mt SAC relays in Los Angeles had just been accepted based on my time in Florida. I was going to California! But I was having a problem. I still had an awful niggle in my foot that I had been fighting the whole outdoor season. 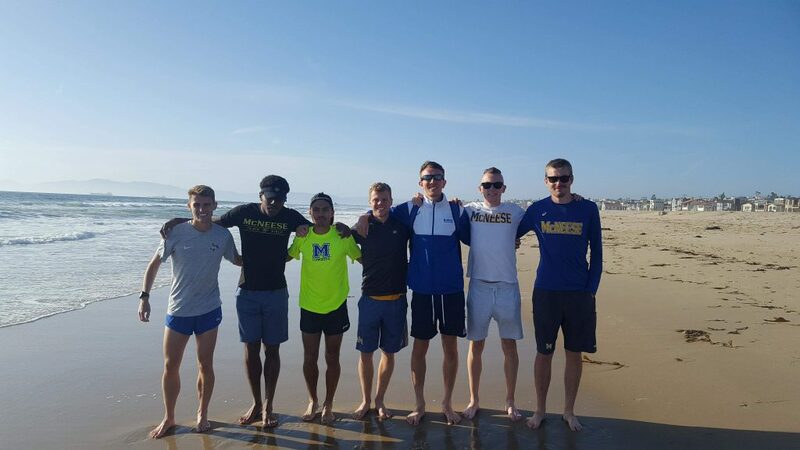 But on April 10th we jetted off to Los Angles to compete in one of the most prestigious distance running events in the world. I got the full experience. We stayed in a top hotel overlooking L.A.X. I got my haircut in Hollywood and ran down Santa Monica beach at sunset. It was THE LIFE. The race went pretty good too, despite the niggling pain in my foot I lowered by PB again to 9:14:62. I got a good bit of amusement out of last three races being in three completely different time zones too (Texas, Florida and California). The pain in my foot didn’t go away. In fact, the training staff at Mt SAC suspected a hairline fracture. But I trained through. It was my job, and I still had one more race. Conference. We travelled to San Antonio Texas. Final exams week and the overall length of the season caught up with me. With the steeple having just more debt this year, I came up short, I simply wasn’t good enough this year. I finished 8th (still scoring). The next day it was even worse. It was scotching. It was over 35 degrees Celsius. Body sore, when I really should’ve just told coach I wasn’t able for it, words from Coach Joe Cooper resonated in my ears. “Ask not what your club can do for you, ask what you can do for your club”. So that I did. And in the process nearly hospitalized myself. I collapsed from heat exhaustion onto the infield after 2km of the 5km race. Thankfully the training staff took great care of me and I lived to fight another day. I was disappointed, especially with recording my first ever DNF. But I’ll take that considering I don’t even remember running the second km of the race because my head was so literally fried. On the bright side when I returned to campus the next day, I was delighted to find that I had been named on the president’s honor list for outstanding academic achievement that semester. After all, as the NCAA drills into our heads from the very beginning. I am a student first, and an athlete second. And so that drew to a close my 2017-2018 season. Plenty of ups and downs, but I wouldn’t trade it for $1,000,000. I took two weeks off, started my new job as a Lifeguard on campus and prepared for the upcoming XC season. So, as a lot of you are probably wondering why there has been nothing but a ‘DNS’ beside my name from every race in the NCAA circuit to date. Well it all begins from the past May. I started back running last May to begin the long summer of distance training in the unforgiving heat of the deep south for my sophomore campaign on the cross. My main intention was to improve on my Freshman season from last year. It had been a very good year having ran some very big PB’s and winning the conference freshman of the year, but I was sure that with the right attitude I could do it. For McNeese, it was a “rebuilding year”. Here in the U.S. on cross country its “8 to run, 5 to score”. Of the 5 men who scored for us last year at conference, I was the only one to return – the rest graduated. It was time to step up. The summer got off to a great start I went from running 40 miles per week all the way up to 85 miles. My Girlfriend of a year now was my back bone the whole three months. She made sure I got at least 9hrs of sleep per night and plenty of good nutritious food. On the 4th of July in very less then desirable conditions, I ran a 4-mile tempo negative splitting every mile finishing in just over 22 mins, the most impressive part; my heart rate never went above 160bpm. In other words, my body was barely working at all. I was in the perfect shape of my life. By the last week in July, I had managed to run just over 700 miles since the start of the summer. 200 more miles then the previous summer! Best of all, I felt great. But then things went downhill. I started to get a slight pain in my left shin, I wrote it off as nothing. 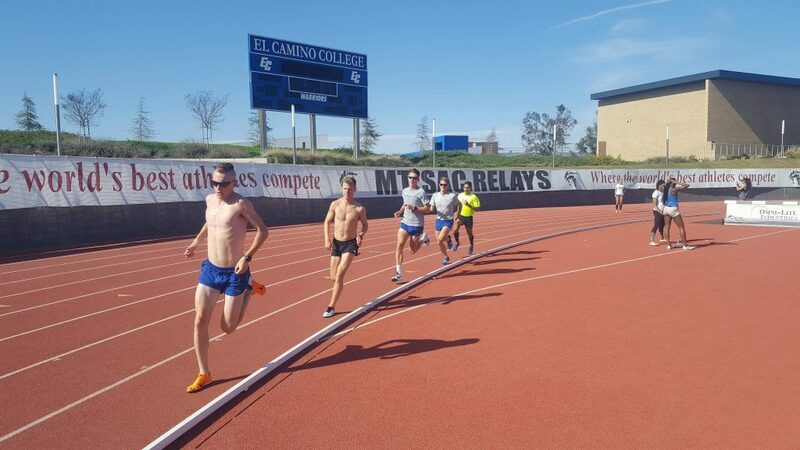 Two weeks later, I dropped out of a 6-mile run with the team in agony. I couldn’t pretend I was okay anymore. I took 6 weeks off running with very little improvement. 6 weeks to the day that I stopped running (8 weeks after the pain started) I was diagnosed via MRI that I had “significate stress reaction” to my left tibial. I began to ease back into running in the last two weeks so my attention turns to making whatever I can out of the XC season and then onto a big indoor / outdoor season. So how did I get injured? Well, I had the bright idea of running more miles with the exception of a lot more sleep and a slower peace this summer. Seemed like a fool proof idea. Only issue is I failed to consider that I was planning on only using one pair of shoes. The extra two hundred miles didn’t do my legs any favors. Moral of the story, when your running shoes start to show wear, for the love of god go and replace them. Missing your whole XC season is worth a whole lot more than a $120 pair of shoes. In other news, the XC team here, comprised mostly of freshman and new comers have done a great job! We have the men, we have the work ethic now all’s we need is the experience. Big things to come from this group over the coming years. My life hasn’t been all bad though. In fact, it’s at an all-time high, I saved up enough cash over the last 12 months to purchase my very first car all on my own. A used BMW 3 series! Just goes to show what you can achieve If you absolute obsess over something for long enough. After all, this is the land of opportunity. So, with that I continue to make the most out of every bad situation. Every glass over here for me is a glass half FULL. Sending all my regards to all of the CHAC crew back home, especially my old Aidan’s teammates who continue to run PB’s month after month. Lots to come on both sides of the Atlantic this spring. In addition to today`s league final, where Joe Cooper showed Jim Gavin the way to do four in a row, and yesterday`s Masters several additional events attracted the interest of the club`s athletes. We start the round up on Wednesday the 15th at the BMC meet in Eltham where Eoin Pierce was 2nd in the 5000 in 14.33.85. Yesterday`s BMC meet in Trafford saw Jayme Rossister warm up for league action with a 3.51.22 1500 for 3rd place in race B. Today on the roads at the Kilcock 10 Mile Philip O`Doherty ran 65.40, Anthony Doran 66.22 and Emer Brennan 79.14. At the RSP 5 Mile Eimear Griffin ran 35.35. Brief report from today’s GV Wright IMC meet in Irishtown. A big pb for Greg Hossenny in 1500 of 3.59.84. In The 800 Cathal Doyle 1.52.67, Mark McDonald 1.58.4, Shaun Conghan 2.03.70. 3000 Adam O’Brien 8.48.21. Greta Streimikyte ran 4.44.69 in the 1500 and Leah Bergin in the 400 59.12. In the Phoenix Park the Irish Runner 10 mile road race saw Declan Power finish 8th in 55.32. Others Caroline Hynes 1.28.08, Katie Hennigan 1.28.50, Shane Rooney 1.31.41, Dave Lyons 1.33.36. Clonliffe athletes were in fine form at last night`s British Milers Club meet, the Eltham Grand Prix. Jayme Rossister ran a fine 3000 pb of 8.11.30 in placing 6th in the A race. Mark McDonald recorded an 800 season`s best of 1.56.31 and Greta Streimkyte ran 4.42.22 in the 1500. Another sun kissed day in Ireland as the heat wave continues with the action equally hot on the track in Tullamore for today`s National Junior and U/23 championships. Cathal Doyle`s rich vein of form continued as he took the U/23 1500 title in some style. After the traditional pedestrian opening laps it boiled down to a last 600 burn out with the 3.47 man getting the jump on all to win in 4.16.82. Greg Hossenny placed 6th in 4.19.93. Another National title today in the junior men`s 5000 for Efrem Gidey in 14.53.57 adding to his lengthening list of fine wins. In the U/23 5000 Adam O`Brien was just out of the medals 4th in 16.08.30. 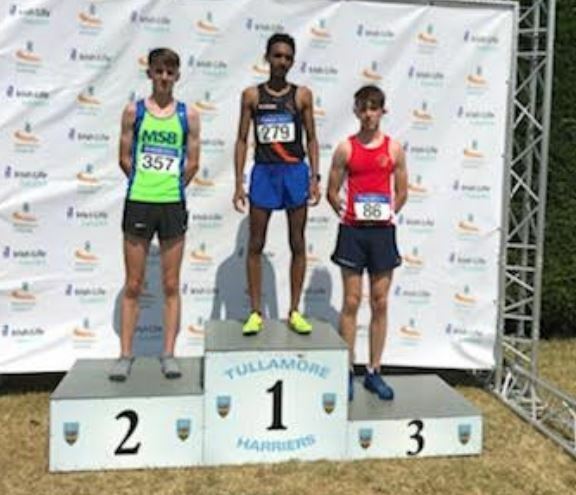 In the U/23 400 new Clonliffe Harrier Thomas Pitkins made a great debut in black and amber taking silver (49.60). Alannah Cooley was 5th in the U/23 5000 (20.05.83). Last night on the road Sean Doran was 40th in the St. Cocas 5k in 16.58. At the big BMC meet in Loughborough tonight Cathal Doyle clocked another excellent 1500 pb. With 250 to go Cathal lay in 7th place but coming off the top bend switchedto the outside going from 7th to 2nd and in the process recording 3.47.83. Eoin Pierce was 7th in 3.50.96. In the 5000 Jayme Rossister ran 14.27.24. Phillips clocks new club 100 record on the double! Jeremy Phillips re wrote the Clonliffe club 100 record book not once but twice on Saturday, June 9th. At the Star Athletics Sprint Series at Monteverde, Florida in his heat he lowered his own record, set at last year`s Nationals, of 10.39 to 10.37 in placing 2nd and then in the final for 3rd place ran 10.35. That`s also a new PB for “Clonliffe`s Fastest Man”, and paces his top of the Irish rankings for 2018 and joint 4th on the Irish All time list.